A Tale of Two Wills? 'A Tale of Two Wills?' is the title of Richard Muller’s short but illuminating discussion of John Calvin’s idea of the unity of the divine will in salvation in the November 2009 Calvin Theological Journal. Muller contrasts Calvin’s and Moise Amyraut’s position on Ezekiel 18.23, using it as a test case for approaching their respective positions. 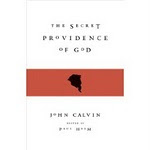 And he evaluates Amyraut’s claim that his interpretation is also that of Calvin and therefore that his is the authentic Calvinism. For as Muller shows, Calvin’s account is a one-will account of the divine salvific intention, whereas Amyraut’s is a two-will account. I will sketch the background to this a little further, and then make some comments on Calvin’s one-will outlook. Amyraut approaches the text in terms of positing two wills in God, a first will according to which God wills salvation universally on the basis of covenant obedience, the bestowing of salvation being implicitly conditional; and, that failing, a second will according to which salvation is particular, in terms of the decree of God to grant efficacious grace to the elect. And for this two-will view he believes that he has an ally in John Calvin himself, given his understanding of Calvin’s own remarks on this verse. Calvin’s treatment of the text in his Lectures on Ezekiel is noteworthy, according to Muller, because it is one of the few places in which Calvin discusses the universality of the offer of the gospel explicitly in the light of the eternal decree. Following on from this, while how the ‘two wills’ of God are elements o of one divine will is ‘inscrutable’ to us, I suggest that nevertheless there is a fittingness, even perhaps a necessity to the indiscriminate offer of grace in a situation in which salvation is freely given and the enjoyment of that grace is through justification by faith alone and its inseparable accompaniment, sanctification. Perhaps we may put the point as strongly as this: The execution of the one divine will of salvation through free grace must have different phases if the freeness of grace is to be received as such, and preserved from serious misunderstanding or even compromise. As we have seen, on Calvin’s view there are not two wills in God, but different elements of the one will. The one will not only has differential outcomes, in the case of the elect and the reprobate, but it is also brought to pass through various phases. These are not (in this case) the much-discussed covenantal or redemptive-historical phases, but phases in which those elected and reprobated are in different epistemic situations, phases in which certain outcomes must be hidden from those about to enjoy them, if they are to receive them with understanding. The Lord’s one will is decretal, distinguishing between election and reprobation, but there is a phase in the execution of that decree, let’s call it the ‘proclamation phase’, in which the presentation is worded universally. From that universal presentation no inferences can be drawn as to who among those to whom the presentation is made are reprobate, and those who are elect. Discriminate grace, but indiscriminate preaching. Why is there this phase? Why is it that ‘announcement’ is a part of the scheme? Why does God choose to bring his grace to sinners by means of an announcement that anyone who turns from his sin will be received? Partly, of course, because it is true! Whoever wills may come. God does desire the return of the penitent sinner. But suppose for a moment that there was no such phase, but instead an economy which was conducted uniformly, either in terms explicitly directed to the elect, or in terms directed explicitly to the reprobate. If this happened (as it tends in fact to happen in some hyperCalvinist settings) the hearers would not be invited to come to Christ, but (by the terms of the preaching) they would be forced to ask ‘Which am I? Am I among the elect, or among the reprobate? Do I fulfil the requirements or conditions of being among the former or among the latter?’ In these circumstances there could be no full, direct invitation. The gospel could not be proclaimed ‘by invitation only’. In other words, under such terms ‘gospel preaching’ would have the effect not of turning men and women to face a Christ who invites them to come to him, but of turning them in upon themselves. And such a turning in is but a very short step from a person being concerned about whether or not he is qualified to come to Christ. or concerned about the hardness of his heart, in which case there would be despair over what would be taken to be the marks of retribution. Either way, instead of facing Christ a person would introspect. At such a point grace would become legalised, So I suggest that what Calvin is identifying is not an arbitrary procedure on God’s part, but a necessary feature of the preaching of God’s free grace in Christ. This is a pastoral necessity, and perhaps even a logical necessity. So while God’s procedure is ‘ineffable’ in the sense that it is difficult to see how the one will of God possesses different phases, there is a rationale for it. It would also have implications for prayer and more generally, for the desire for the salvation of men and women. For example, if, after setting forth in Romans Ch. 9 his theology of the remnant according to grace, Paul had known by some means who among his Jewish contemporaries were elect, and who reprobate, how could he have had a desire that they might (without exception) be saved (Rom.10.1), or had the thought that he might be accursed form Christ for the sake of his brothers, his kinsmen according to the flesh? (Rom. 9.1-5). Returning to Calvin, perhaps we could add this: that such universal or indiscriminate preaching is a working out of Calvin’s teaching that Christ is the mirror of election. 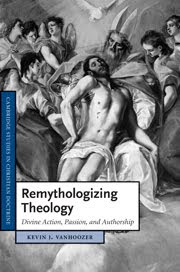 This is the first of several posts on Kevin Vanhoozer’s new book, Remythologizing Theology, (Cambridge University Press, 2010). In the first of these I intend, as best I can, to characterise the basic outlook and theses of the book. The others will offer somewhat more reflective observations. Kevin Vanhoozer is certainly not short of words. In The Drama of Doctrine (2005) he gave us 488 pages, and now we are offered a second helping of 538. 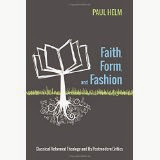 And although it is true that in the new book the author offers Christian theological constructions, he is still chiefly concerned with issues of method, as has been his wont. All these words are no doubt written with the intention of aiding the reader, but I must honestly say that they have the opposite effect on at least one of them. Much of the exposition of his own proposals is repetitious, vapid, and often unclear. The author makes good criticisms of the sort of modern theology in which, in general, he situates himself . He seeks to safeguard basic Christian theological positions such as the Creator-creature distinction and even some distinctive emphases of Reformed theology, as in his treatment of effectual calling. Yet when seen from the standpoint of classic Reformed theology, as we shall see the theological outcome is (in general) unsatisfactory. The theological constructions which occupy Parts II and III illustrate the method of remythologized theology set forth in Part I. In The Drama of Doctrine this method had to do with understanding Christian doctrine as being essentially theodramatic, here Vanhoozer seeks to construe (or to construct) Christian theology along similar lines. What’s the difference between doctrine and theology? Something like this, perhaps: a biblical doctrine is a teaching of Scripture. And for Vanhoozer the earlier concern was: how are we to understand such doctrines? Answer: as intrinsic parts of a theodrama, they are what it means to understand God’s dramatic work in Christ, to understand how we ourselves are to be caught up in that drama, participants in it. Doctrine is God in interaction, in dialogue, through the polyphonic character of Scripture, entering the drama himself in the Incarnate Logos. So doctrine is not monologic, nor merely cognitive, or cerebral, teaching, (à la Charles Hodge) but dialogic interaction through the many genres of Scripture, engaging (in one sweep) not only our minds, but our imaginations, affections and wills. So what is theology, on this view? Theology is a second-order activity, taking the theodrama, and its various elements as just described, and reflecting upon it. What does such theodrama imply about God? To answer this is to be engaged in the remythologizing of theology. The term is potentially confusing, and it seems a pity to have to spend a couple of dozen pages offering an apologia for the use of a word on the title page. But this nevertheless gives the author opportunity to say that remythologizing has nothing to do with Bultmann, but with understanding the Bible not as myth in the sense of a set of ancient fables, but as mythos, a dramatic plot, a plot of this-wordly events, of ordinary as well as heroic stories. That’s theodrama again, of course. And remythologized theology is theology which does not proceed from the bottom up, from a merely human set of ideas, such as Hegel or Anselm offer, or the ‘five speculative “ways” of Aquinas’, but in terms of Scripture’s own theodrama, God’s ways. So remythologized theology must be systematic reflection on Scripture from Scripture’s own point of view. It is more than idle reflection, however, it is a metaphysical endeavour. To start with, and as the key to the whole, we need to ask what sort of a God must the God be who creates and redeems in such theodramatic ways? The answer to this question gives us a ‘system of projection’ which will depict on the theological screen a portrayal of a certain type and shape, the contours of remythologized theology. ‘Projection’ of course suggests Feuerbach, the idea of religion and its associated theology as nothing but the expression and projection of human ideals, the screening of a supposedly objectively real account of the divine which is (and must be, according to Feuerbach) only the stylising of a person’s deepest needs, his spiritual aches and pains, and his ideals. But that’s Bultmann’s trajectory, not mine, Vanhoozer says. Theodramatic projection starts not from the anthropocentric but from the theocentric, from the point of view of the God of the theodrama, from the director’s chair, so to speak. And it is not the objectifying of the merely subjective, but reflection on who the director is and what he can and cannot do arising from what we know that he has in fact done and not done in enacting the theodrama. Fundamental to the remythologizing project is the idea of God as a triune communicative agency. The remythologizer must ask the question: What must God be like if he is actually the speaking and acting agent depicted in the Bible? For ‘The Bible is the means whereby God projects his own voice onto the stage of world history’. So (for one thing) ‘both the transcendence and immanence of God are best viewed in terms of communicative agency rather that motional causality’. (24) Theology is to use interpersonal rather than causal categories. The coherence of theology is not to be sought in mere logical consistency or connectedness, but in a personal plan as this is revealed in the narrative. So Christian theology remains as much a metaphysical endeavour as it was for Hodge or Anselm. These statements already suggest an agenda of problems and issues. But before identifying these we must look further at the contemporary setting in which Professor Vanhoozer places his project. This may give us some more items for our agenda. In The Drama of Doctrine the author situated himself somewhere in the middle between Charles Hodge’s merely cerebral, cognitive, monologic theology, (here I do not contest this eminently contestable claim about Hodge), and George Lindbeck’s communitarian and instrumental (if not pragmatic) view of doctrine, (not contestable), drawing from each. In the new book Vanhoozer offers a different sort of sandwich. I don’t think that it’s intrinsic to what he wants to say about remythologizing that he does position himself in this way, but what it shows is that he has two audiences in view, at least. One is the American evangelical constituency, with its high view of Scripture but it’s relatively low view of systematic theology. The intention here is to pep up theology in theodramatic fashion, so making it less dry, and more marketable because closer to the letter of Scripture. The second intended audience is that of modern academic theology: Professor Vanhoozer wishes to position himself in this firmament, or ferment, or ideas. To do this he takes some time and trouble to sketch what are for him the two main outlooks in modern theology. Each falls under the general heading of trinitarianism. For the last few decades modern theology has been awash with proposals that are ‘trinitarian’. One theme or set of themes arises from the loss of interest in the ontological trinity, and exclusive focus placed on the economic trinity. God’s being is his redemptive action, his identity is given through how he is identified in creation and salvation history. The thrust is personalistic and panentheistic: God’s being is intrinsically tied to the world and with how it goes. Panentheism is the idea that the world and everything in it is not distinct from God its Creator, but is in some sense an extension of it, or rather that the created order is situated within the divine reality, though yet somewhat distinct from it. (The incisive book to read is John Cooper’s Panentheism). Various changes to this theme are rung; by Moltmann, Jenson, and so on, and now, by Kevin Vanhoozer. This personalistic, panentheistic theme is developed in another way, though emphasis on the social trinity, understood as a trinity of equal persons united in perichoretic, i.e. interdependent, love. Added to this is the idea of divine kenosis, of God withdrawing to make space for person to person dialogue with humankind. This is used both as a model for Christian relations and for God’s relation with the world. Again, there are various variations on this themes: Vanhoozer cites Jenson and Freitheim and Brueggermann, Catherin M Lacugna, Elizabeth Johnson, and Open Theism. He makes incisive criticisms of important aspects of these views, and then offers his own variant. This variant on the personalistic thrust resists the idea that personal relation should supercede the very idea of divine substance, and stresses the creature-Creator relation as well as divine freedom. He emphasises trinitarianism, and especially divine personal action in dialogue with his creatures, rather than ‘mechanical’ causation. The dialogue is a symmetrical give and take between divine and creaturely parties, divine loving action together a spoken commentary, 'triune communicative agency' as the author puts it. The parameters of such theology nevertheless seem to be characteristically modern. It ought to be borne in mind that the new book, and Vanhoozer’s work more generally, is addressed at one and the same time to the two distinct audiences that we have identified. Attempting to connect up with modern debates in such a direct way is, in my view, at least a tactical mistake, perhaps more serious. What happens when the fashion changes, as change it will? Like a nomadic tribe, modern theologians exhaust one piece of pasture and then move on. I guess they’ll soon be moving on, to begin in earnest to reflect on (say) ‘Theology and human rights’, or 'ecological theology' or whatever. However, given the current grand narrative of the theologians, one thing is unlikely to change : the strong undertow of universalism and libertarian freedom, with no incongruity detected. For all his wish to engage with Scripture, as we shall see Vanhoozer is strangely muffled on this side of things. There are a number of issues worth considering here. Beginning at the top, in the next post we shall consider the nature of Vanhoozer’s ‘theodramatic God’. After that, we shall consider the theological application of his claim that God’s relation to the world is dialogical, using his own treatment of effectual calling as the case study. In the fourth post we shall reflect further on an axiom of modern theology, which Vanhoozer endorses, that the personal and the causal are exclusive categories. And finally we shall identify important, crucial biblical data that Vanhoozer’s personal, theodramatic theological grid passes by on the other side. At least, that’s how I plan to go. But who knows?